Styled with nora cropped top . This midi slip dress is made with a softly crinkled fabric from Japan that has a little shine and drapes beautifully. The bias cut means you get an elegant body-skimming fit. I adore this slip dress. I bought the blush version a while ago. Agree with everyone else, please bring back in more colors! This dress is so so beautiful. The bias cut is everything you could ask for. 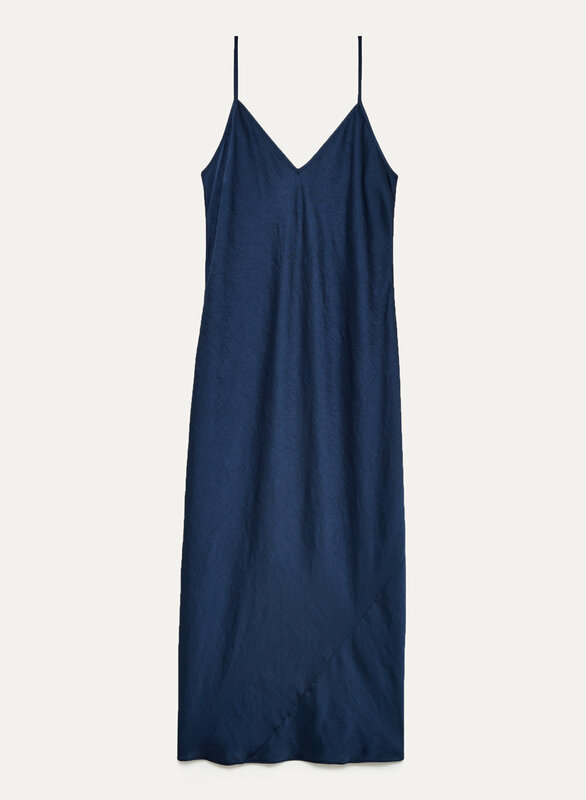 Please bring this back in more colors, Aritzia! Glides over the body perfectly and if you have curves, it’s that much more flattering. I snagged it in 2 colors and hoping to get more! This dress is figure flattering as has a bias cut. The material is lovely and falls beautifully. I highly recommend this one.